Brian Pinches decided to plough ahead with his horse accessories business after help from the Small Business Mentoring Service. L for Leather is now a slicker and more successful operation. 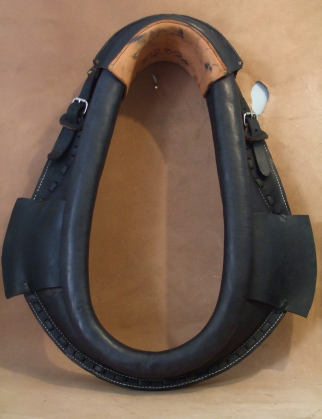 A former secondary school technology teacher, Brian became involved in horse accessories after he struggled to find people to make heavy harnesses for his draught horses. In 2000 he took over L for Leather from his son, who had run it for three years. 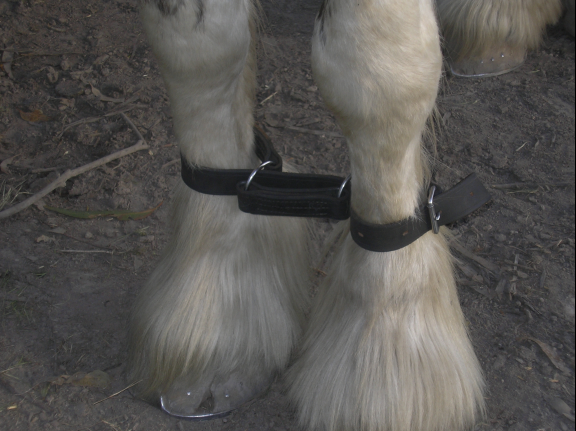 A sole trader, Brian sells collars, hames and associated harnesses for draught horses. Based in Traralgon, the business supplies and manufactures quality work harness in leather and beta and supplies American style horse collars. “I import the horse collars and stainless-steel fittings from the Amish in America,” Brian says. Most customers have draught horses for farming or pleasure. 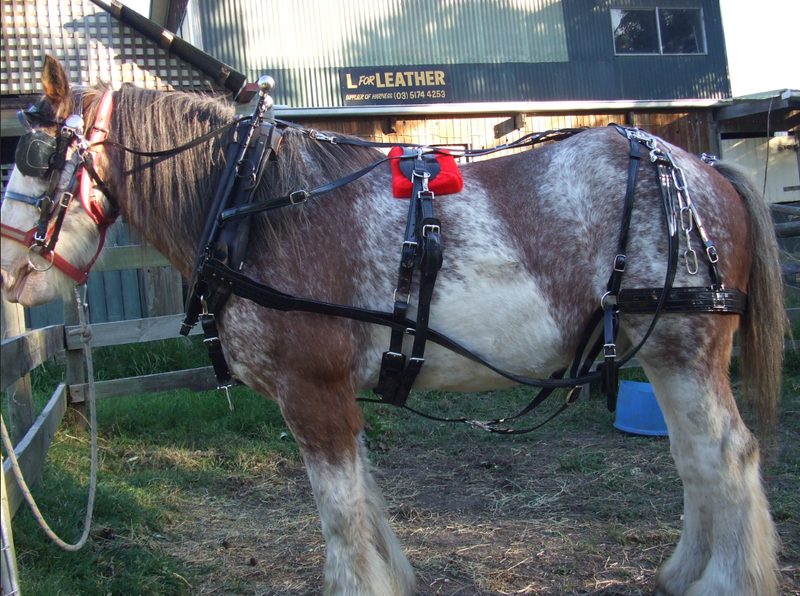 Many have Clydesdales, Percheron horses, Shire horses and Australian draught horses. Brian sells nationally and at horse events. “I attend a lot of events with my Clydesdale horses, demonstrating them working either ploughing or other work,” he says. “I attend the Barellan Team Events with my horses, usually after doing a road trip with a wagon from Rutherglen to Barmah (about 170km) with the Heritage draught horse club, which I am an active member of. “People see that I work horses and have a passion for using heavy horses in the work situation. Brian is passionate about his work, but felt he needed a mentor to look at his business from the outside. He discovered SBMS through his son’s partner, who sought advice when she started Fish Finatics Aquarium in Morwell. Brian chose to work with mentor Helen Ward. Helen is a freelance writer, editor desktop publisher and marketing consultant who is also experienced as a local councillor, business operator and volunteer. Her focus includes marketing, sales, governance and business planning. Brian had three sessions over two months with Helen under the Australian Small Business Advisory Services (ASBAS) program. Helen helped in a range of areas, including marketing, social media, workplace environment and efficiency. Brian’s workplace was unstructured and a bit untidy to an outsider. “But even he agreed he would benefit from a tidy up and incorporating some order and system into his workplace environment,” Helen says. As a result, Brian made efficiency gains through achieving “a sense of order”. A website review led to making the site mobile responsive and a more important marketing and online ordering tool. Helen also emphasised the importance of social media in engaging with existing and prospective clients, and as a tool to showcase products and expertise. Since he saw Helen, Brian’s business has continued to grow, and he continues to expand his product range. Helen says the business’s workplace environment, efficiency, online direction, social media communication and prioritising have all improved. Brian has purchased more equipment to streamline harness production and joined the Saddlers’ & Harness Makers’ Association of Australia to network with other people in the industry. He is advertising more on social media, which has led to more enquiries and new customers. You Tube training has also helped. Without Helen’s help, a grateful Brian says he would not have taken the next step. “I’d still be plodding along,” he says.